Here is a close-up view of my 12×12 paper storage rack. I made this from one of those wire sporting-goods racks that you can buy at Target for about $25. I saw this idea here on Cat’s Creations. It makes a very sturdy, very inexpensive rack for storing all of my 12×12 papers. Of course, we only had black zip ties at our house. It would have been “prettier” with white ones. And here is my big ink storage unit. I bought this used from another stamper for about $30. I’ve seen similar units for $100+ on various websites (and that’s before shipping), so those can be pretty pricy unless you find a good deal on a used one. I like that I can store my ink pads and refills all in one place. There is also a spot to store the matching marker, but I like to have all of my markers at my fingertips on my workspace so I don’t really use that part much. I do store my Paper-Piercing Tool, Aqua Painter and Sharpie markers in those spots. It also has a bunch of little pegs that are designed to go in the tiny holes on the right side for hanging scissors and ribbon spools (or anything else that could go on a hook), I don’t need many of those pegs and they stick out quite a bit so I don’t put the pegs in unless I need them. The next picture is my 8.5 x 11 paper storage. I bought a rolling card at an office supply store for less than $10 and it works great for storing my card stock. I can roll it around (because it’s HEAVY when it’s full) and it’s got a lid to keep the dirt and chunks of flying debris from my stamping messes out. The next picture is my big storage unit that I bought at Ikea. It’s called the Expedit Shelving Unit and it was $139. I added two drawers ($25 each) and two doors ($20 each) and I loaded it up with all of my stamp sets and lots of other small items. I’ve got my Sizzix dies behind one of the doors and all of my small tools in the drawers. I also had plenty of space to store my unopened packs of card stock as well as some bins full of other assorted supplies. I store my ribbon in a small bin and a spool rack. I got the bin at Target for a few dollars and I keep all of my loose pieces of ribbon in there. I bought the ribbon rack on Etsy and it was about $40. My final storage issue was my punches. After seeing this on Pinterest, this is the solution that I came up with and it was very inexpensive. I bought extendable curtain rods for $4 each at Lowe’s and I used a hack saw to cut them down to the size that I needed. I attached them down the side of my storage unit with the brackets and screws that came with the curtain rods. These were super easy to cut down and hang up, I did it all by myself! And here is a little closer view of the punch storage. 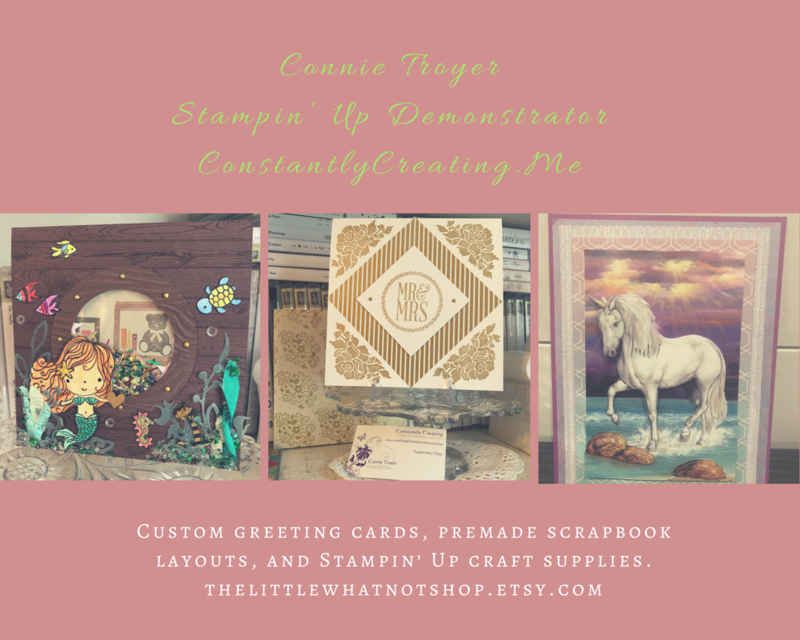 I hope that you’ve enjoyed the tour of my new stamping area and I hope that I’ve provided you with a few inexpensive storage solutions along the way. Let me know if you have any questions, I’ve been having lots of fun putting my new stamping space together! Now on to the exciting stuff…The Blog Candy!!! I’ve got two blog candy packages for you. To be entered to win, all that you need to do is leave me a comment on this post with your favorite storage idea for stamping stuff. It can be anything…something that you use, something that you’ve seen or something that you’ve made, whatever storage ideas you’ve got. I’ll be doing a random drawing from all of the comments left on this post by Tuesday evening (7/9/13). The second blog candy package is a pack of the retired Pretty In Pink 8.5 x 11 Card Stock, a pack of the Jewels Basic Pearls and a package of the Kraft Gift Boxes. Don’t forget to leave me a comment if you want to be entered for my blog candy goodies. I’ll be drawing and posting the winners on Wednesday morning. Good luck! 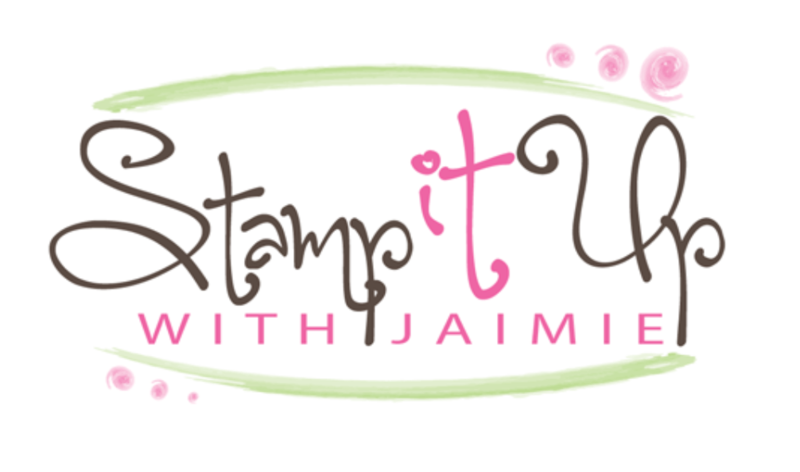 Don’t forget about the Buy 3 Get 1 Free DSP Promotion from Stampin’ Up! Click on my Promotions tab above to read all of the details. Plus I’ve got a July ordering special where you could win one of two $25 gift certificates! Click on my Rewards tab above to read all about it. This entry was posted in Stamp Room Storage and tagged Amy Koenders, Atlanta GA, Demonstrator, Duluth GA, Georgia, stamp with amy k, Stampin Up. Bookmark the permalink. fantastic organisation, I wish for a craft room cleaner to pop in each evening and get my space back into a workable area LOL. I have a combination of storage spaces and if I put things back after using them , these spaces would work. Thanks for sharing your great ideas. Love how you have organized, you have given me some great ideas since I have a small place to organize. You really have everything at your fingertips. I really enjoy your web site, Thank You for sharing. I am so impressed with your good finds, your innovative-ness with your punches, and the over all look of your new stamping space. I just moved and had to reduce my stamping space of 25′ x 11′ to an 8′ x 9′ spare bedroom. Talk about a challenge! But I’ve used my space quite well. I just can’t spread out like I used to. I used white cubicles that I put together from Menard’s. I stacked those as high as I could along one wall. Those are great for my paper. I also use photo boxes to organize my photos which are also on those shelves. I have my punches in a rolling cart with five 12 x 12 boxes from Joann’s. I like your ribbon storage. I will have to look for something like that. Thanks for sharing your great ideas and for the chance to win blog candy. I’m so glad you have your own space now! Loved seeing how you set it all up–thanks for taking the time to share it! I am still in the process of organizing my stamp area–I have used little storage bins from the dollar tree to keep my brads, bling, buttons, glitter etc in. I punched little labels to adhere to the fronts of the bins so I can see what I need quickly. I can’t decide how to store my punches & paper so thanks for the pics & tips. Thanks also for the chance at some blog candy–looks yummy!!! I’m so impressed with your doing your punch rods all by yourself. You rock! I had my husband put up towel racks for mine. It fit the old punches great and the new ones like yours fit on it great when they are left in the “open” position. I picked up a Stampin’ Up ink pad storage rack at a garage sale for $25. I also use a Iris Hanging File Folder box I got at Michaels for my 12 x 12 paper. Ok, lets be honest, it only holds about 1/4 of my paper. The rest is stuck in the cupboard. I need help with storage! Thanks for the ideas! I think the craft boxes are the bomb! I would love to own one. Your idea’s are absolutely fabulous and I may adopt some of those!! Very nice room! I also use curtain rods for my punches and files for my paper. Sometimes I feel like I live in no-man’s-land because Wisconsin doesn’t have an Ikea store but I’m sure it makes DH happier. Thanks for the inspiration. I use a small 4 drawer stacking unit for my adhesives,pearls etc. I labeled the drawers and keep it on my desk..Convenient and neat at the same time! Love your room…so organized! Wow am I glad that I happened onto your blog. I love love love what you have done especially with you punches they are always a challenge for me. Something that I have done is with my embossing folders. I found that I was collecting so many that I needed an organizational trick. I numbered each one and made a corresponding tag with the same number than ran the tag with the fold through the big shot. I then placed the tags on a plastic string so that I can always add more. The embossing folders went into a photo box I already had and now when I want an embossing folder I can look through all my paper tags and select just the right one instead of going through the box and selecting one than another etc etc. Thanks for sharing your storage ideas! I came across the following idea from another stamper and like it very much. I bought 2 gallon, clear, ziplock bags from a dollar store or grocery store. Then I separate my cardstock by color into the bags. The thing I like best is that I can store 12×12, 8½x11, and any assorted scraps and sizes of the color in one place. So I don’t spend time searching for smaller pieces to use in my projects. And the 2 gallon bags fit into a file box so they are handy to find. I absolutely LOVE the punch storage solution. I currently use wooden crates to store my punches. I also use the over the door shoe pouches to hold markers, scissors, and other odds-n-ends. What a fun place to craft! Great ideas! I envy your storage space and would dearly love to have my supplies as organized. I have my rubber stamps in a sliding door closet in a 7 drawer organizer alongside a cabinet with ink, punches and my paper is in desk trays stacked. The desk trays are my new addition!! Thank you for the chance to win Blog Candy! Your style for organization is right on! We all want to be organized and using you ingenuity keeps the $$$ in my pocket to be used for more stamping supplies, so I love your ideas. In my craft area you’ll find stacks of those spinach/spring mix/salad bins. Once empty, I rinse, remove labels and save for projects, supplies or paper scrap storage. They’re free and see through so I can locate what I’m looking for very quickly on the shelves. I love your ink pad storage! I wish I could find great deals like that!!!! For clear stamps that don’t have their own container, I use CD containers, then have them in a CD/DVD rack on my wall. That way I can see them all in one spot. I still need some better storage for my 12×12 paper…. I will definitely have to check out the sporting goods racks that you got at Target! Love, love, love the paper stackers from Target. Also the punch rods are terrific! it’s so nice to be able to see everything at a glance. Thank you for sharing your stamping space and great storage ideas. I’m always looking for ways to organize. I just love the “punch storage system”! I’m still working out how to make my work area tidy, but still have the things I need most often easily accessible and this just fits the bill perfectly. I can see a trip to Home Depot in my very immediate future. Thank you for the post. Talk about perfect timing – finding your blog with so many great ideas! Since I am moving my paper crafting from my LR downstairs to my former sewing room, I need and may use all your ideas. The first I am going to use and therefore my current favorite is the curtain rods for my punches – perfect! I use side by side bookcases for most of my storage. A ribbon rack from Joanne’s for 50% off, along with a six drawer plastic rolling rack. My space is very limited. You are very creative. Thanks for a chance at blog candy. I would love to have a stamping room like yours when I ever grow up! Much more fun to keep things in the family and living rooms than clean out a bedroom that has all sorts of stuff in it! Wonderful ideas though when I get there…thank you! And thank you for TWO chances at blog candy….very generous for two lucky winners! Your space looks fun and delicious, congratulations on your great accomplishment. My daughter always teases me and tells me that I spend as much time organizing as I do stamping….she’s close to being right! I love your craft room. I use the Multi-Purpose Bins from the Container Store, since I have a large collection of 12×12, I love them. Now if only I could organize the rest of my room. Thank you for all the storage ideas!! I will be putting some into use. I have tried several ways to store my ribbon & really like yours. Will have to give it a try. Thanks for all the tips. An IKEA will be opening up next year in the Kansas City area. Finally, I will be able to shop there. I will be looking for some tables and shelves like you have. Really like the way you organized with them. Love your organization system you have put together. I am going to definitely do the punch storage you are showing! I have my craft room set up with storage units I bought at Target when they were on sale. I wanted everything behind doors so it would look neater. Thanks for a chance to win and I will be subscribing to your blog to get even more inspiration! Great organization! I feel like I’m constantly trying to “reinvent” myself in my craft room – changing storage ideas often until I find one that works for me. I love blog surfing to see what others have done! I LOVE your inkpad storage – and what a fantastic deal you got!! My only problem so far with “open” paper storage like you have your 12×12 in, is that I have 2 windows in my crafty space. Where they are located in the room lets in lots of great light, BUT not so great for fading my paper! I really like how you have your 8 1/2 by 11 paper – it’s similar to how I store mine. Thanks for sharing your organzing ideas. You can use your Rolodex for more than just business cards. Slip metal dies into clear card protectors then sort by letter. I love your punch storage. Wish I had somewhere to add it to my room. I have about 25 clear plastic shoe boxes for storage. Each one is labeled, and they fit on top of each other. Waiting to win the lottery and build a whole studio. Your craft room is so tidy and ultra organized! Lots of wonderful ideas. Like another commenter, I use an over the door shoe organizer for my larger punches and 3 storage boxes of small, medium and large punches. Your curtain rod “rack” seems much more organized! A friend shared your blog…..I’m so happy that she did! How wide is your shelving? The entire unit measures 58-3/4″ wide. Each individual opening is 13-1/8″ wide. Hope that helps! I love your storage ideas. Especially the curtain rods. One of my favorite quick and easy tricks for loose ribbon storage: keep the clear, zippered plastic bags that sheets or comforters come in or even the smaller ones that shams come in. Use hole puncher to punch holes all over the bag. Put your ribbons in the bab with one end of each ribbon sticking out a hole. You can see all the ribbon and instantly pull what you need through the hole.